Best Outdoor Daybed Reviews: Check out these top 10 choices! Deciding on the best outdoor daybed is not just about going to the shop, pointing at the first one you see, and buying it. In fact, you need to decide on the perfect daybed much the same way you would go about choosing any piece of furniture for your home. Typically, an outdoor daybed would go outside. But where do you intend putting it exactly? If on your patio, is your patio covered? Or is it open to the elements? This plays a role in the type of daybed you get. One that stands in full sun for much of the day, for example, may need some sort of cover to protect you from burning, while you would need to take the material it is made of into consideration. Not all materials can stand up to all types of weather conditions, for example. Also falling under the category of ‘space’ is the area space into which it would fit. 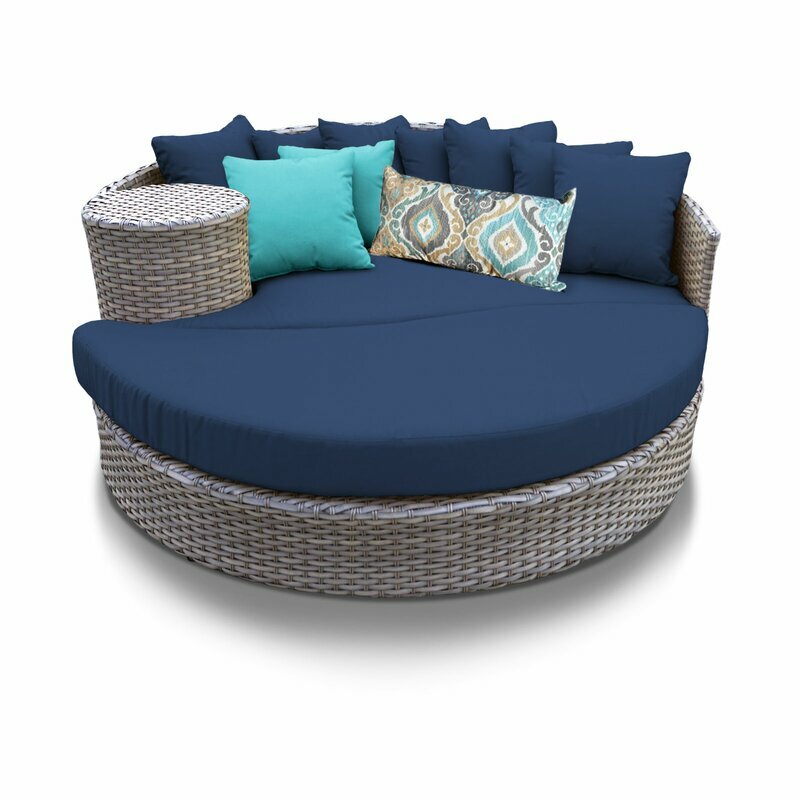 If space is not an option, a large, round daybed in which you can lounge and really stretch out may be just the thing. But if space is confined, you may decide to consider a more traditional style daybed that fits up against a wall, giving you some room for leg space, to place a table, or in which to walk. Outdoor daybeds are made out of various types of materials. Those who have a frame made out of solid wood may be treated to withstand different weather conditions, but you may have to treat that wood every so often to ensure that it lasts for a number of years. On the other hand, those made out of rattan or wicker, or even plastic-treated products, may be able to withstand different weather conditions for a much longer period of time. Do take these thoughts into consideration when buying your outdoor daybed. The finishing touches, to a large extent, is a question of choice and style. On the whole, though, you may opt to look at cushion and pillow covers that can withstand the elements and that may need only a wipe down in order to stay clean. Alternatively, of course, especially if you are someone that prefers to bring them inside or stow them away safely, you could take a look at cushions and pillows that have zippers. This allows you to remove your covers, wash them, and, after they are dried, simply cover your cushions and pillows again, easily zipping them back up until next time. Each of us has their own unique style. You see this the minute you walk through the front door. Do you want to extend your entire style out to your patio or do you prefer to let your patio have its own unique style that perhaps blends in with your garden design? This is something you may need to take into consideration before making that purchase. But no matter your unique style, the variety of daybeds that are available allow you the opportunity to pick that perfect fit that complements your home, garden, and your personality. Nothing screams style so much as the finishing touches. Finishing touches are a reflection of who you are, and your personal style and flair. Whether you opt for vibrant pillows or mellow hues, or lovely textured throws, the end product tells the story of your style, your space, and your particular personality. So pile them on or leave it minimalistic. The end result is a reflection of you. The Aubrie Canopy daybed would suit those who are more of a traditional mindset. 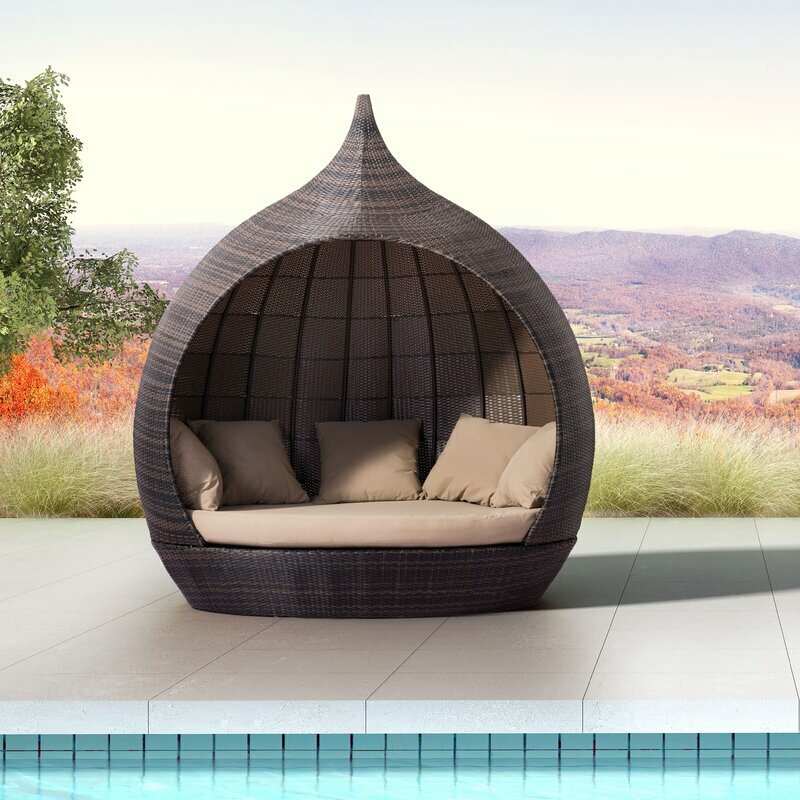 It is crafted from bamboo and features a canopy that is ideal for shade on warm, sunny days. 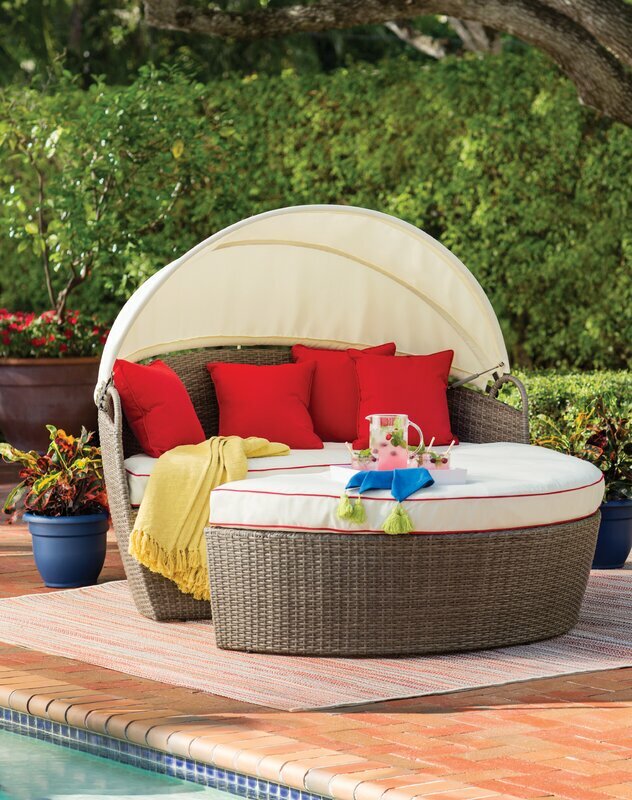 Reminiscent of the east, the teardrop design of the Hatley Daybed envelopes you and protects you from the harsh rays of the sun. The elegant design made of water resistant materials ensure your daybed stays in great condition for a long time. The two pieces of this daybed fit together snuggly, allowing you the comfort of a large bed, or when divided, extra seating space for patio parties. 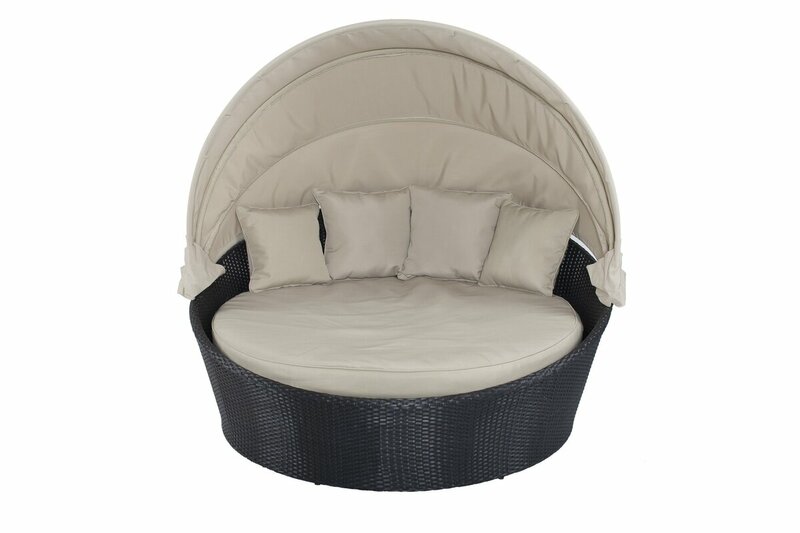 A large, rounded daybed that fits three people! This daybed also features a large canopy that can be opened or closed, giving you the option of dozing in the sun or shade. A cozy patio ensemble that withstands the elements year – round. 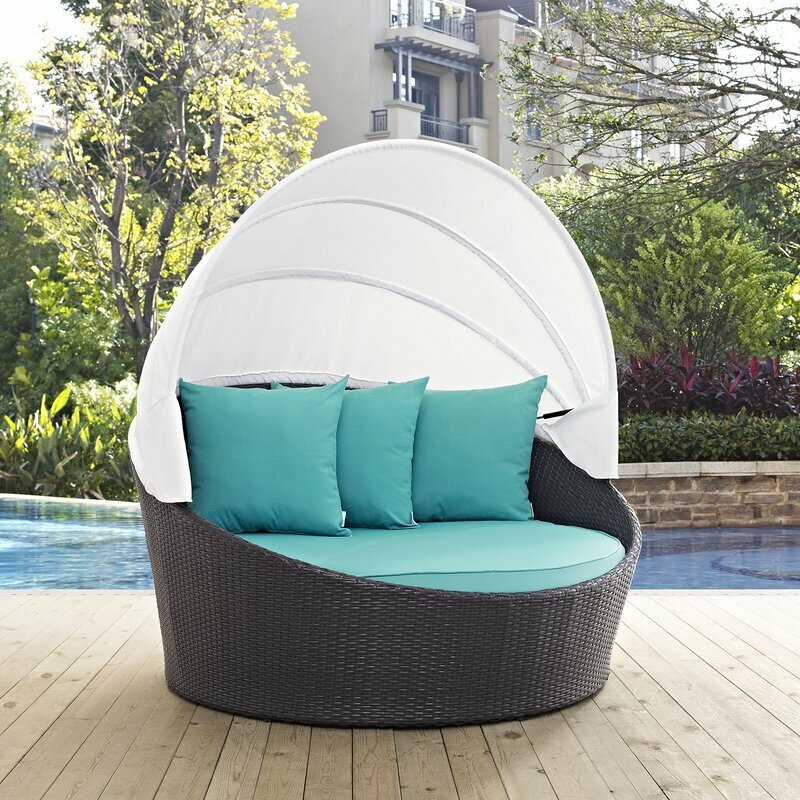 The detachable cushions and pillows with removable covers for easy cleaning and the canopy for shade make this daybed well worth your consideration. With a lovely daybed like this, there is no need for a patio umbrella. 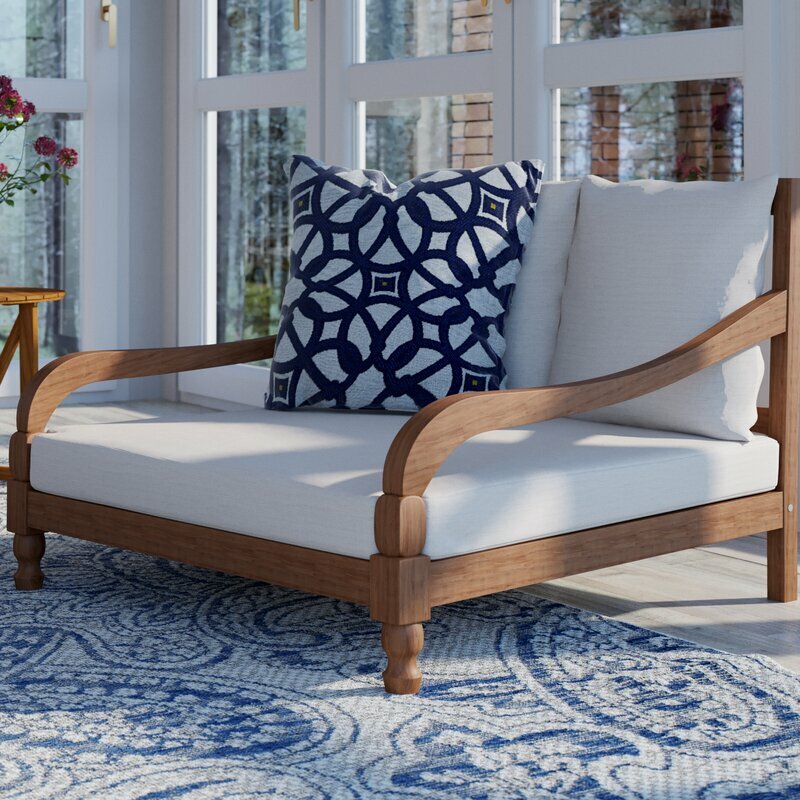 If traditional, sophisticated comfort and style is your thing, the Crumptom Daybed from Darby Home Co is most certainly a good option to look at. The elegant acacia wood frame makes this daybed not only a must-have on your patio but would look equally well inside your home.This is one of those outdoor chairsyou could spend the whole day outside reading in. A great daybed for balconies or patios, you can see yourself snuggling up on this daybed even on summer nights while watching the stars. The inbuilt side table is the perfect place for that glass of wine. The classically posh British styling of the Cheval Daybed makes this product a serious contender for the title of the best outdoor daybed. The generous proportions and elegant design simply screams luxury. 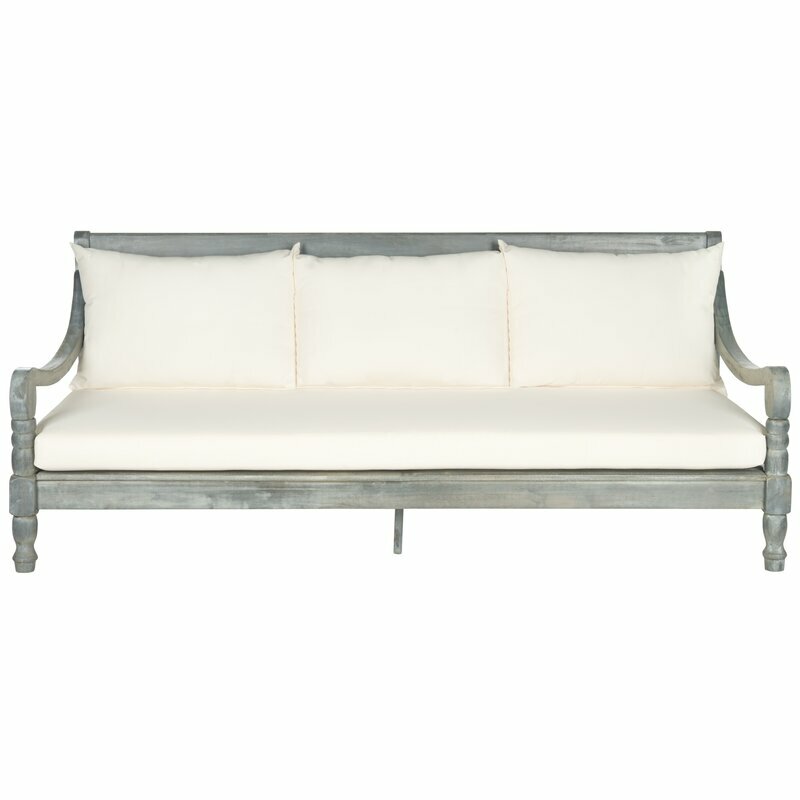 This daybed reminds one more of an outdoor sofa. 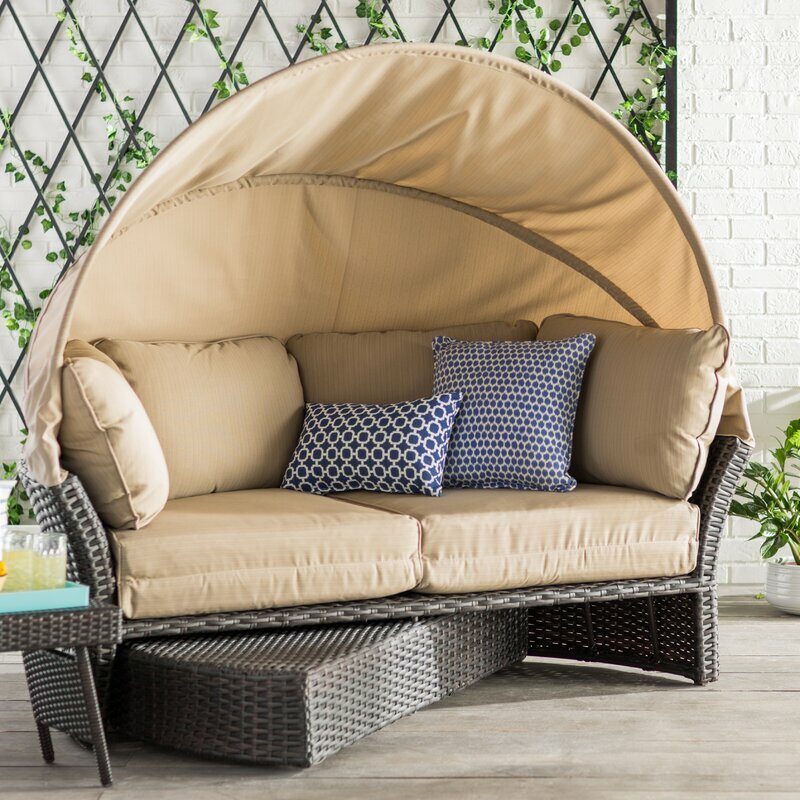 A luxurious daybed that fits in with anyone’s outdoor décor, the Seagle Daybed has a beautiful resin wicker mahogany finish that is protected against the elements. If things get too hot, you could always jump into your fiberglass pool to cool down. This daybed is made up of four individual pieces that can be fitted together into one large bed, or broken up into individual seating. 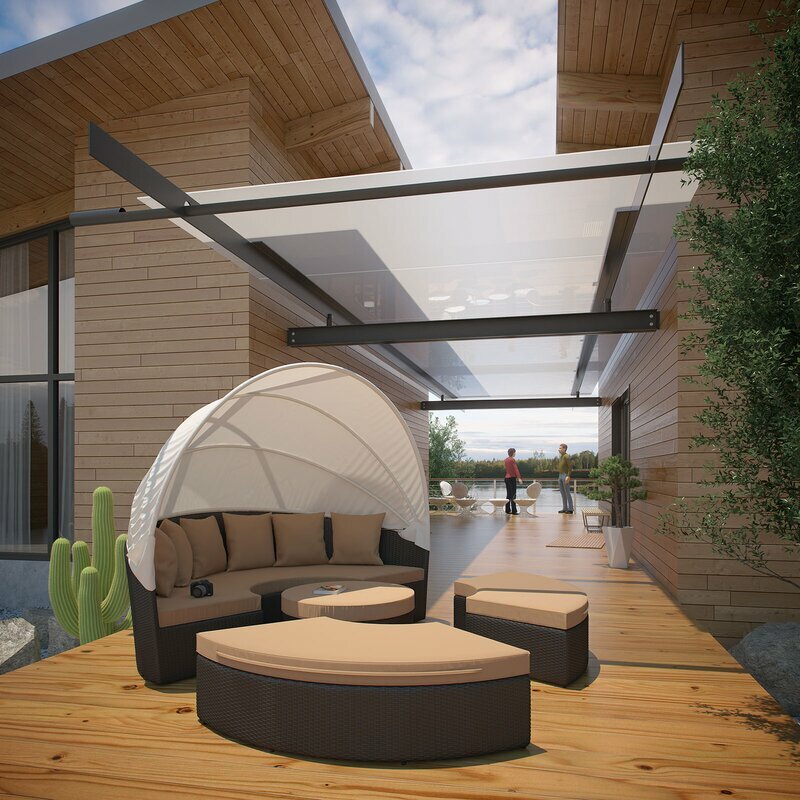 An added luxury is the canopy that fits over to shield you from the harsh rays of the sun. All that is needed to make life complete is the addition of a hot tub. To have an outdoor daybed, or not to have an outdoor daybed? The answer to this question resides firmly in you, your lifestyle, your space, and what you want to do with it. What do you want it to tell people of you and your home? Besides offering great seating space outside, it can also serve to brighten up a space and give it that extra touch of style and comfort. Coming up with a winner for the title “best outdoor daybed” was relatively easy this time. This was not because we had anything against any of the daybeds reviewed, but simply because we were looking around for one for our own patio which is undercover, and runs most of the length of the home. The downside is that it is not very wide, so our winner is the “Cheval Daybed with Cushions by Beachcrest Home”.Besides fitting our limited space perfectly, we loved the elegant, classy feel of this daybed and it fits in wonderfully with the rest of our décor as well.